I have been having so much fun! 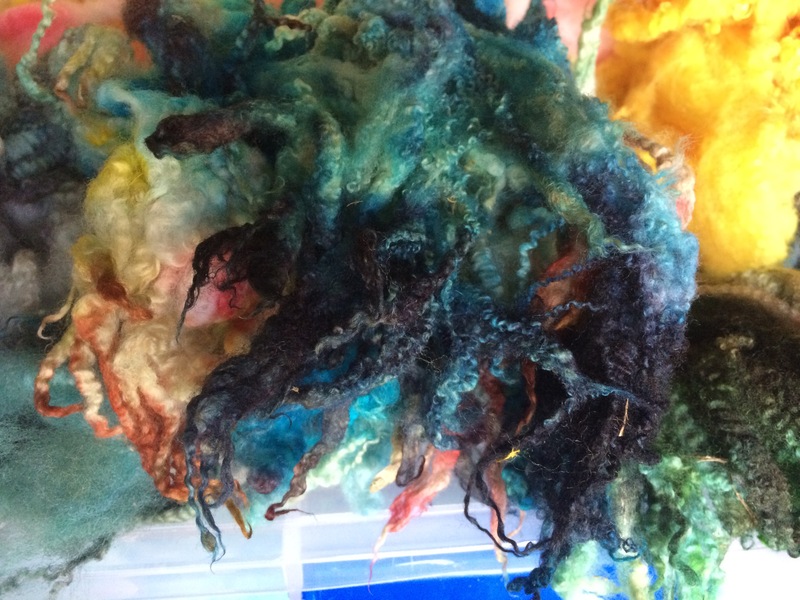 These colors were created by immersing the washed and dried wool fleece pieces into hot water with vinegar and food coloring dye. 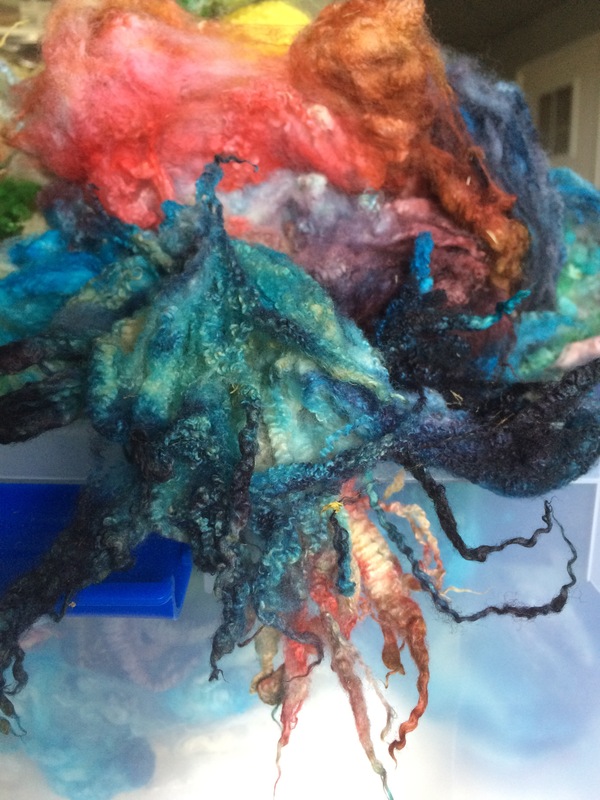 Then I added more dye in different places straight from the dye droppers or powders and pressed the intense colors into the wet wool in separate areas of the pot of wool and hot vinegared water! To make sure all the die was absorbed, I turned the heat on till it just almost simmered. After a bit (10 min to a half hour or so) I checked the water. Once the water was clear when I checked it, I knew that dye was completely absorbed. I’m not one for careful calculations or measuring so this fits my personality perfectly! 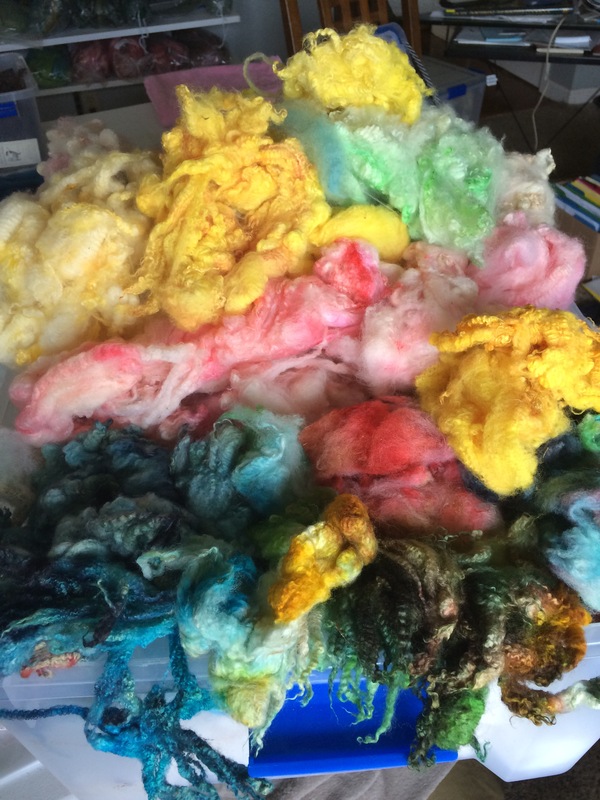 These gorgeously colored fleeces will be incorporated into my felted wall art, scarves, or spun into exciting colored and textured yarns!